Kucoin is a relatively new cryptocurrency exchange based in Hong Kong, which supports crypto-to-crypto trading. Launched as an ICO, they have explicitly stated in their whitepaper that their goal is to be one of the top 10 cryptocurrency exchange platforms by 2019. Since their ICO, 80% of their initial funding has went into R&D as they strive to accomplish this feat. KuCoin’s core team was assembled in May, 2017 and their exchange launched 4 months later in September, 2017. In their first 33 days Kucoin’s user base grew to over 50,000. By December 2017, that number reached 200,000. Michael Gan, CEO – Former technical expert of Ant Financial of Alibaba Group, a veteran of financial solutions, and senior partner of Internet giants like MikeCRM and KF5.com. Eric Don, COO – Former senior Internet Researcher and Systems Architect. CTO and senior partner at IT companies such as youlin.com, KITEME and REINIOT. Top Lan, CTO – Open source community Technical expert and manager of multiple mainstream open source projects in Github. John Li, President of Business Operations Group – President of Jianbang Communication and project director of group-purchase magnates. Kent Li, Operation Director – Stanford University REAP project Operations & Maintenance director. Operations & Maintenance director and architects of multiple Internet titans. All you need to sign up for Kucoin is a valid email address and accessibility to Google Authenticator or another 2 Factor Authentication service. To maximize security, Kucoin requires that all users have 2FA enabled on their account before they can start depositing. Kucoin offers competitive low trading fees of 0.1% similar to their biggest competitor, Binance. And just like Binance, they have their own coin, KuCoin Shares (KCS) that can be held to reduce fees down to .02%. Every 1000 KCS held equates to a reduction of .01% (i.e. Holding 5000 KCS = .095% in trading fees). Kucoin takes the cut out of your destination denomination, i.e. buying 100 LTC will net you 99.9 LTC. They also have a withdraw fee, which varies with each crypto coin. Every withdrawal less than 100,000x (the fee) is processed within seconds. Kucoin distributed their native token (KCS) in three phases. The first 70 million KCS (35% of the total supply), were issued to their founders and are in a four year lock up period from September 2nd 2017 to September 2nd 2021. Team members are prohibited to assign or sell their KCS holdings before September 2nd, 2018 and they can only assign or sell 25% of their largest historical exchange volume in 365 days from September 3rd 2018 to the end of lock-up period. In the second phase, 30 million KCS (15% of the total supply) were issued to consultants and angel investors with a lock-up period of two years (Sep 2017 – Sep 2019). Holders are prohibited to assigning or selling their holdings until September 2nd, 2018. They can only assign or sell 50% of their largest historical exchange volume in 365 days from September 3rd 2018 to the end of the lock-up period. The last 50%, or 100 million shares are issued to public users via ICO with no lock-up period. Apart from reducing fees, KuCoin Shares also have an extra benefit. Kucoin gives all KCS holders 50% of the trading fees the entire exchange makes every 24 hours for every coin. This 50% number will eventually be reduced to 15%. Since there are a total of 100,000,000 KCS available for users, the more KCS you hold, the more you get. For example, if you hold 1,000,000 KCS, you will receive 1% of the 50% of trading fees Kucoin has accrued over the past 24 hours. You can calculate daily dividends using this KCS calculator. The exchange platform is located under the “Markets” tab on the user interface. The Kucoin exchange offers BTC, ETH, NEO, USDT, and KCS pairings. The first view gives you an “At a Glance” scrolling look at the market and lets you sort through each pairing. Upon choosing a coin pairing (in this example we are looking at KCS/BTC), it brings you into their trading UI. Kucoin integrates Trading View as its charting interface with a 7, 25 Moving Average indicators on an 8 hour candle chart as its defaults. Kucoin offers lightning fast trading with their efficient hardware-accelerated memory matching technology with an order-making peak of 2 million+/second and order processing peak of 1 million+/second. Kucoin is staying competitive with Binance in terms of adding up-and-coming, trending coins. For example, the trending December 2017 coin, RaiBlocks (XRB), was listed on Kucoin exchange in January before Binance (although Binance will be adding it shortly). As of January 8th, they have 158 coins listed. While they aim to have 1,000+ cryptocurrency pairings listed by the end of the year, the team does an extensive vetting process to make sure they are putting up quality coins with promising technology, strong communities, and a talented team. After partnering up with a new coin, Kucoin sometimes does a ‘trading contest’ promotion to promote volume (once again, similar to Binance). If you are a team member of an ICO and you would like to submit an application to be listed on Kucoin, their application form is one click away at the bottom of their site. The community also has a chance to ‘vote’ for a coin once Kucoin narrows down their list of prospective coins. Kucoin follows financial industry level standards of encryption protocol by applying data transfer layers to store user information and sensitive data, similar to banks. All Kucoin logins, withdrawals, and start of trade session requires users to input 2FA, significantly reducing risk of loss in case of a “hacked” or open account. Kucoin offers a referral program similar to a multi-level marketing payout. If Investor X invites trader Y. Investor X gets a % of the trading fees trader Y accrues. If trader Y invites trader Z, both X and Y receive a % of Z’s trading fees. This can go on down to 3 levels. Advantages of using Kucoin are their low transaction fees (.1% or less), their ability to consistently add new coins, and their KuCoin Shares holding bonus. Their trading fees are very competitive in the market with Bittrex at .25% and Binance at .1%. It also has the potential to be even lower than Binance (if you invest more than 50,000 KCS). They are consistently adding new coins that have: a) a real project with solid teams and visions b) garnered support from the communities c) Raised enough capital and volume interest to be worth being listed on an exchange. These are 3 important factors in determining whether a new coin can withstand the test of time in this volatile market. The last major advantage, which could be considered the best, is the implementation of the Kucoin Shares Bonus. This unique feature directly gives back to the community who invest in KCS and they are rewarded passively every 24 hours. This use case of a cryptocurrency behaves similar to that of buying regular stocks of dividend paying companies. When you buy and hold KCS, you are essentially investing in a company and your reward is a share of its revenues. As Kucoin grows, not only will the value of each share increase but since the trading volume increases, users get a higher dividend. If Kucoin can become a top 10 exchange by 2019, the company and its KCS holders stand to gain a lot. Disadvantages of using Kucoin is its site’s tendency to slow down during huge traffic and the vulnerability to have log in attacks because of lack of reCAPTCHA or bot-removing features. Since Kucoin has overgrown its pace, it sometimes suffers from slowdowns and network congestions. However, this issue is resolved relatively quickly with upgrades that the team have ready in order to scale appropriately. These upgrades take 30 minutes to a few hours and are announced via twitter. 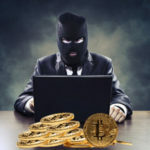 Another disadvantage is the fact that Kucoin is vulnerable to server attacks by bots. Since they don’t implement a reCAPTCHA authentication to block bots from spamming requests, attackers who want to slow down Kucoin can implement this method. The fix here would simply be for Kucoin to implement that feature in its log in. 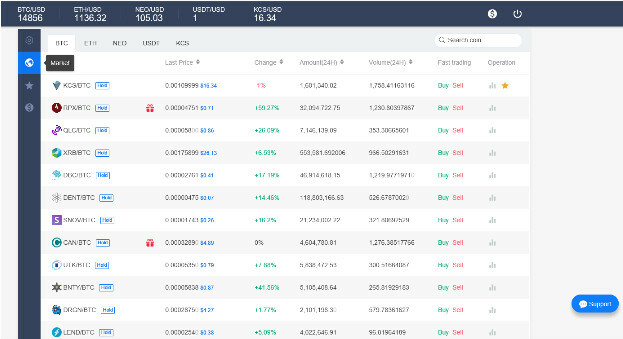 Kucoin definitely has what it takes to be a top 10 cryptocurrency exchange by volume. Their team is experienced in the competitive IT fields in China and their marketing/referral plans definitely have it primed to accelerate its growth. On top of that, their Kucoin shares use case makes it so if investors just wanted to invest in Kucoin and NOT interested in trading, they can simply buy and hold Kucoin shares while slowly accumulating other coins. As a trader, Kucoin is a great complement to Binance. Whereas Binance has more volume and coins, Kucoin gives a smaller pool of coins without sacrificing quality. Since Kucoin has shown its ability to list some popular coins faster than Binance, one can see how traders who love trending coins would prefer to use Kucoin to get a head start on the users who just have Binance. As an investor, Kucoin is also a great option for those interested in Kucoin Shares. KCS will appreciate in value if Kucoin gets more popular. The limited supply of KCS should increase the demand of each KCS. If Kucoin can deliver on being the top 10 coin, then the early investors of Kucoin will be greatly rewarded. Overall, Kucoin has a great vision and approach in order to realize their goal. They have invested heavily into R&D to provide better user experience, coin listings, and scalability. They already have a mobile app for Android and Apple users and they are growing at an exponential rate as the market for cryptocurrency exchanges get more competitive. Whether you are an investor or trader, Kucoin is a very attractive destination for your crypto needs.